Here is the CPC 8-14 day temperature outlook issued last night for the period of March 4th-10th. 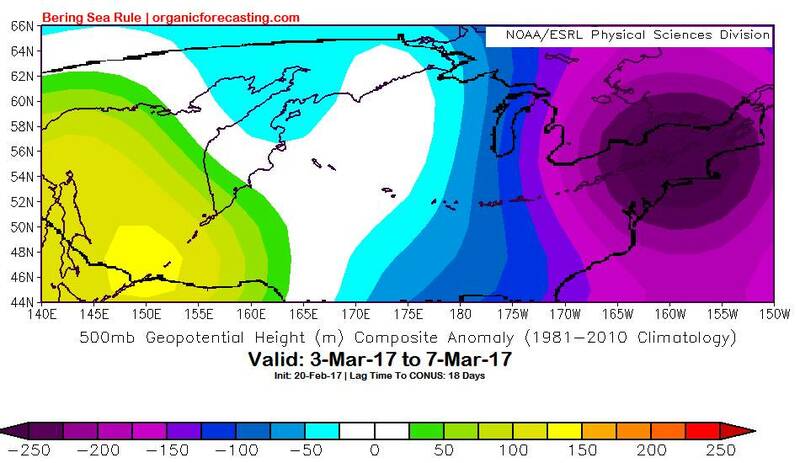 Here is what the BSR was showing on February 20th. That being said, the BSR ESRL maps have a lag of developed and we can see the pattern 6 days earlier as the surface and 500mb maps are produced.